NationTalk speaks with Domenic Natale, Vice President, Indigenous Services with TD Wealth, at the AFOA 19th National Conference in Ottawa. 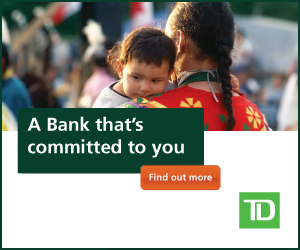 Domenic discusses the value, pride, and importance of TD’s sponsorship of the AFOA event, including the great participation of delegates, speakers, and presenters alike before covering the rewarding elements of partnership and financial literacy. Natale then continues on to share information on the rewarding focus TD has on Indigenous finance and Indigenous recruitment in the wealth, banking, and retail areas of their organization.